Vital reports on vaccine toxicity, safety and health. 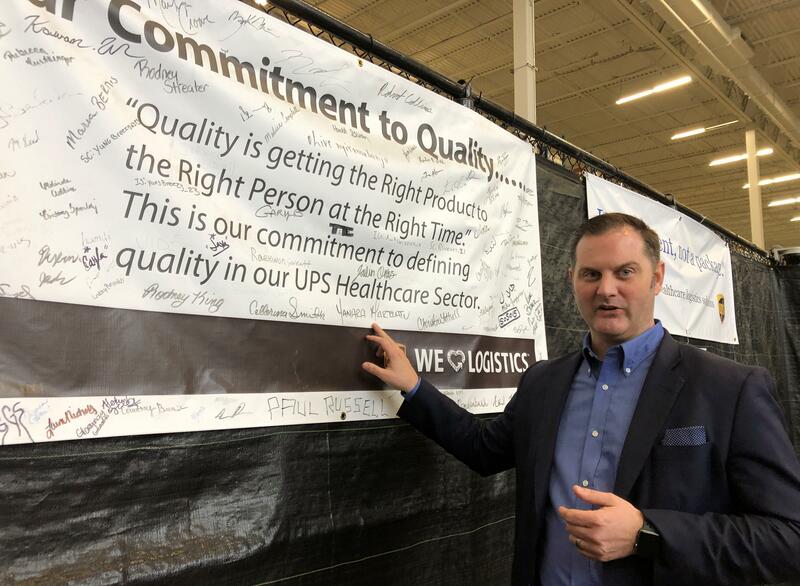 LOUISVILLE, Ky. – United Parcel Service Inc wants to get beyond U.S. doorsteps with a new push into healthcare. UPS did not disclose which vaccines it would be using in the project, but drug and vaccine maker Merck & Co told Reuters it is looking at partnering with the company for the initiative. The project, previously unreported, shows how UPS is targeting a larger slice of the $85 billion outsourced healthcare logistics market. Deutsche Post’s DHL Group dominates the market, which is expected to grow to $105 billion by 2021. “Over-the-threshold services is where the world is headed,” Chris Cassidy, who joined UPS last year from GlaxoSmithKline PLC to oversee global healthcare logistics strategy, told Reuters in an interview at UPS’ Worldport facility in Louisville. Here is how the test, slated to launch later this year, will operate: Workers in UPS’ 1.7 million-square-foot healthcare complex at Worldport will package and ship the vaccine to one of the more 4,700 franchised U.S. UPS stores. A home health nurse contracted by UPS’ clinical trial logistics unit known as Marken will collect the insulated package, transport it the “last mile” to the patient’s home and administer the vaccine, which will target a viral illness in adults. The aim of the test is to “see if we can connect all these dots,” said Wes Wheeler, chief executive at Marken, which was purchased by UPS in 2016 and is overseeing the vaccine project. It comes as the parcel delivery industry braces for the impact of a cooling economy and competition from customer-turned-rival Amazon, which is building its own logistics network to contain the swelling cost of dropping millions of packages at shoppers’ homes. UPS healthcare customers, facing political scrutiny over high drug prices and systemic waste, are also under pressure from Amazon. The world’s biggest online retailer is teaming up with Berkshire Hathaway and JPMorgan Chase & Co to lower prescription drug costs for their employees. And, it rocked the sector last year with its roughly $1 billion purchase of specialty online pharmacy PillPack. Experts say raising low U.S. adult vaccination rates would reduce healthcare spending by curbing preventable illnesses that result in doctor visits and hospitalizations. 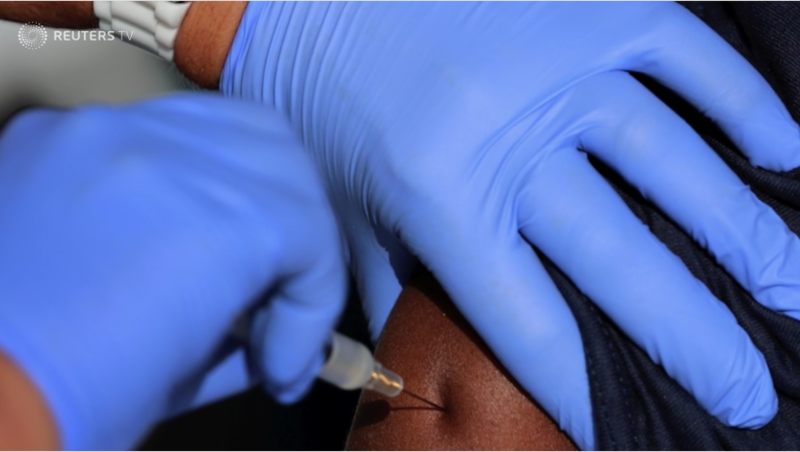 Merck, a major UPS healthcare customer, has a portfolio of vaccines for viral illnesses ranging from shingles and hepatitis B to the flu. Spokeswoman Pamela Eisele said the company is considering the project as it looks for new ways to increase access to its medicines and vaccines and boost adult vaccine rates. Experts said the UPS project could also save money by having contract home nurses, rather than higher paid doctors, administer the vaccine. But the test, a first for a large U.S. shipper, is not a guaranteed slam dunk for UPS: Marken’s CEO said it must figure out how to get medical insurers to pay for the new service. UPS, DHL and specialty shippers have a smattering of home health projects around the world – mostly in countries with single-payer health systems. DHL, the healthcare logistics leader with annual medical-related revenue of more than 3 billion euros ($3.4 billion), transports U.K. patients from home to non-emergency hospital appointments. Polar Speed, a U.K. specialty logistics company UPS bought in 2014, has trained and background-checked drivers who enter homes to drop off prescriptions, deliver and install medical refrigerators and infusion pumps, and remove waste such as used syringes and wound dressings. Pharmaceutical companies already pay Marken to give vaccines to patients testing their experimental drugs. Cathy Morrow Roberson, who founded consulting firm Logistics Trends & Insights after working for more than a decade as an analyst at Atlanta-based UPS, said the vaccine project taps the assets and expertise the company has acquired since getting into healthcare in the early 2000s. “They’re reaping the benefits of all the acquisitions and investments they’ve made,” she said. The effort is designed to put even more distance between UPS and Amazon, which lacks the specialized warehouse, temperature-controlled shipping and regulatory infrastructure that healthcare companies require. Amazon currently uses UPS and FedEx Corp for PillPack home deliveries. Major insurers contacted by Reuters declined to say what they pay to have vaccines administered. But an analysis of 2010 MarketScan health claims data sheds some light on the subject – finding that the average cost of a shingles shot was $208.72 at a doctor’s office and $168.50 at a pharmacy. Flu shots cost less than $30 at both locations. The provider of that data declined to update it. Delivering home vaccines at a competitive price may not be the only hurdle to the UPS project’s success, said Stephen Buck, chief executive of Courage Health and a former vice president at McKesson Corp.
“Pharmacies and physicians may not be happy about a new player competing against them,” Buck said. Thanks to JM for sharing this story with us @ ZEROVAXX! Enter your email address to subscribe to ZEROVAXX.com and receive notifications of new posts by email.